Artificial Intelligence has been swiftly adopted in many organisations to replace more routine business tasks, such as in administration and customer service, with varying degrees of success. What is discussed less widely are the ways in which AI is being used to support the critical decisions made by business leaders. In this strategic role, AI is expanding the modelling tool-kit of business intelligence analysts. AI provides ways of making decisions that are unattainable using only traditional computational tools. The reasons for this lie in the relationship between building models and running algorithms to solve those models. A model is a quantitative framework used to investigate a problem that needs solving or a decision that needs making. Good models provide insight for the people using them. Once a model is created in analytical or mathematical terms, it is usually explored on a computer, using algorithms to obtain quantitative solutions. The outputs from these algorithms are then analysed and used in the decision-making process. Until the age of Artificial Intelligence, models were built exclusively by human experts, who looked at the problem to be solved and decided how it could be tackled. Computers then provided a way that the solution could be obtained more quickly or more accurately than a human could possibly have managed, but it was a human expert who needed to specify precisely, in the form of a careful algorithm, every step involved in solving the model. A good early example is the cracking of the Enigma codes in World War II – computing machines were essential to make the large number of calculations necessary, but the steps required to crack the codes were all specified by humans. How does AI change the game? What changed with the emergence of Artificial Intelligence is that AI provides new ways of building models, not just solving them. It is of course early days, but the long-term attraction of AI is that we will be able to build models more quickly and more cheaply than in the past. Moreover, we will be able to build different models than were possible in the past, which are able to tackle new problems. For example, AI has enabled banks and financial institutions to create ways of detecting fraudulent behaviour that would be impossible using only human-built models. In another example, the Smith Institute is currently using AI to construct constraints on how radio channels are managed in highly dynamic environments – environments for which the existing (human-built) models for managing channels are not suitable or effective. AI allows us to build models that are more focussed in scope (for example, models of individual behaviour rather than the behaviour of populations) and that can be updated more frequently, because computers can work faster and handle vast amounts of data in a way that humans cannot. Human-built models tend to have wider scope and be longer lived in their applicability, because humans are better at generalising than computers are. But human-built models also have a much longer development cycle. AI will not spell the end of human-built models, but AI will be recognised as a better engine for building models which are focussed in scope and need to be updated frequently, perhaps daily or even hourly. For example, Twitter uses deep neural networks  to create ranking models for individual Twitter users that are used to determine the probability that a user will value content created by another user. These models must be updated regularly to consider the most recent actions of Twitter users. In some contexts, these kinds of will provide business leaders with greater insight than was possible using only human-built models. What does AI not change? Models and strategic decisions go hand in hand. Any model must start from the problem that needs solving or decision that needs making. Conversely, to answer a critical business question, you need a model – this creates the framework you will use for working towards the answer. AI does not change any of this. 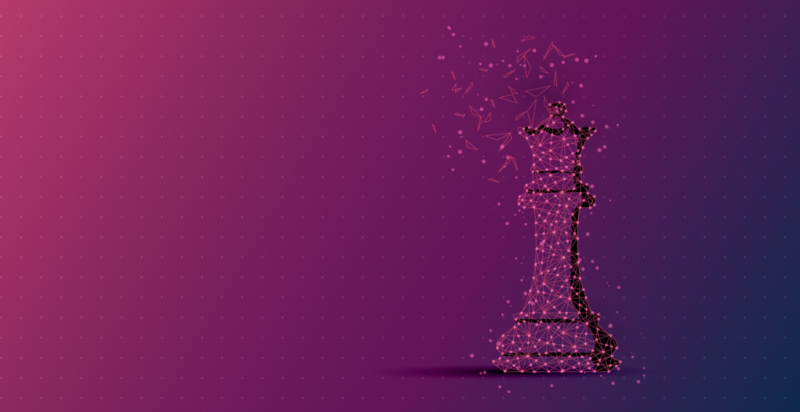 A business leader looking to use AI to support their strategy must stay focussed on the decisions that need to be made for the business to move forward. What questions do you want answers to? Operational decisions often involve repeatedly answering similar questions in slightly different circumstances: they are potential candidates for automation using AI. Strategic decisions have consequences that are longer lived and require models that draw on all available evidence (both from within a business and from external sources) and incorporate elements that are outside of the business’s direct control. As such, strategic decisions will not be automated, but AI will provide the focussed models capable of giving senior leadership greater insight than was possible before. In summary, we believe that AI will become indispensable to business strategy, as an addition to the modelling toolkit of experienced business analysts. In the short term, we expect that AI will bring value to strategic decision-making when tackling questions which are focussed in scope, with answers that need to be regularly updated. The value that AI can bring to decision-making should not be underestimated in our big-data world. Those that understand both its strengths and limitations will be best placed to bring the power of AI to their business strategy.